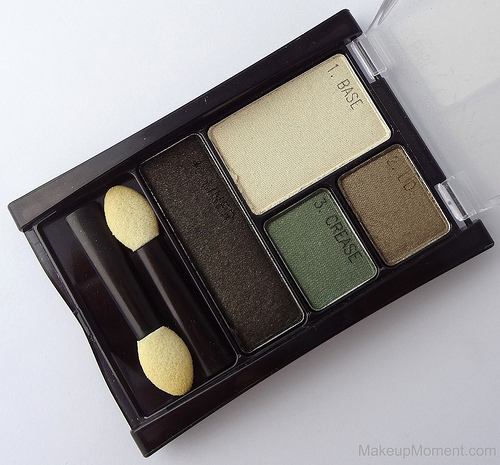 I was browsing the beauty isle over at CVS last weekend, when I happened to spot this gorgeous green themed, eyeshadow quad. 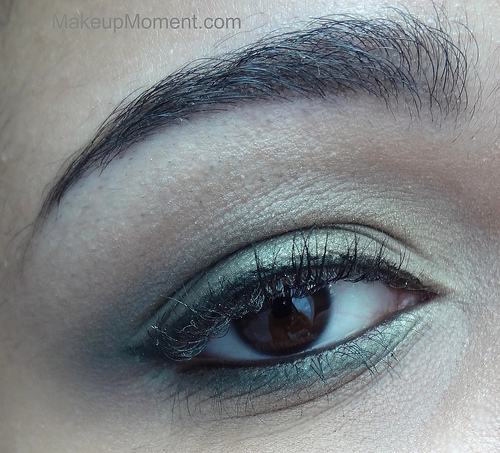 I am a huge fan of green eyeshadows. I think they compliment my brown eyes beautifully, and really makes them stand out. Well, I must have been in a green eyeshadow sort of mood because, I didn't hesitate to quickly scoop up the Maybelline Expert Wear Eyeshadow Quad in Emerald Smokes. It also didn't hurt that this quad was on sale for 50% off its original $8.99 price tag. Gotta love a bargain! All of the shadows are shimmered but I find that they look to be on the frostier side, once applied. The texture of the shadows were nice to work with. They had a smooth consistency and blending was a dream. Also, I experienced no fall out under the eyes, which was great. These eyeshadows do carry a nice amount of pigment but, I did have to pack on the colors a bit, in order to get them to show up to their full potential. According to Maybelline, these eyeshadows are crease proof, and are meant to last on all day. And, I think I have to agree. I will be honest, I wasn't expecting much out of these when it came to longevity. But surprisingly, these held up exceptionally well, on my primed lids-I have really oily lids, so an eyeshadow primer for me is an absolute must! It wasn't until the 6-7 hour mark, that I experienced some fading. It was very minimal though, and hardly noticeable. My eye makeup still looked pretty good. 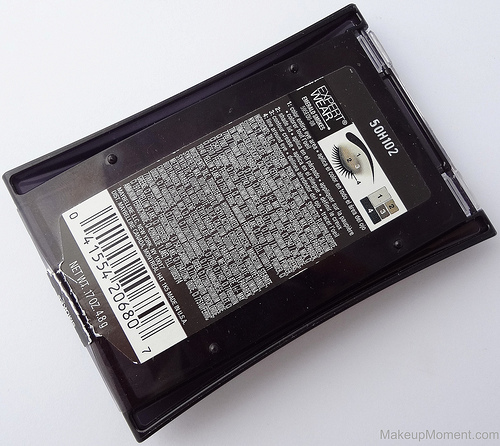 Overall, I am really glad that I came across this eyeshadow quad from Maybelline. 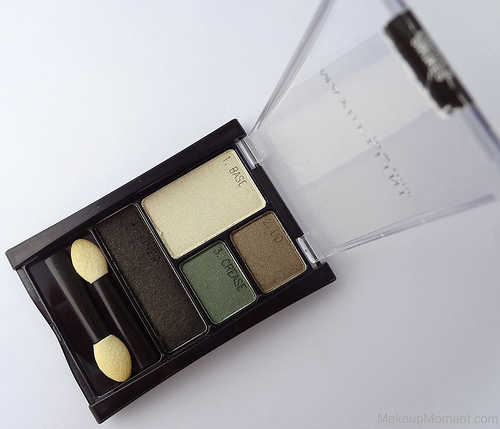 I think these eyeshadows are stunning, and all four colors coordinate very well together to create a beautiful green smokey eye look, that is easily achievable. If you are looking for an affordable way, to experiment with eyeshadow colors, I think this eyeshadow quad is a nice choice. There are also loads of other Maybelline color quad options available, so you are bound to find one that suits your fancy. For those of you that are into eyeshadows that fall in the golden and bronze shimmer family, check out my review on the Maybelline Expertwear Eyeshadow Quad in Sunlit Bronze, here. 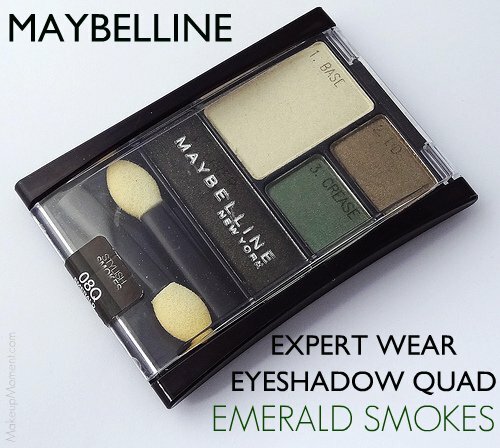 What do you all think of Maybelline's Expert Wear Eyeshadow Quad in Emerald Smokes? Love these colors! I definitely want to find this quad to try it now. Your very welcome, Hun! I am really glad you found this review helpful. 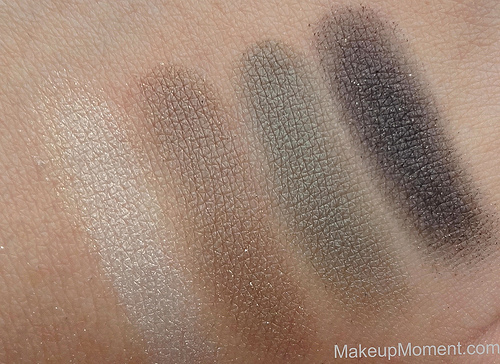 Let me know if you pick any of the Maybelline eyeshadow quads!